It is realizing where you are at the moment and where you want to be in future, in achieving your dream. This is an opportunity to learn a technology that creates your ability and maintain an outcome that will determine the difference between wanting something in theory as your career, a wish list, or becoming able to go and get it in practice. The practical talk will guide you to a process and the use of a tool in the Neuro-Linguistic Psychology (NLP) that will facilitate you in crystallizing the outcome of your future pathway, so that you can vividly set for your successful self. What are the conditions that will lead you to set yourself closer and nearer and achieving your desired goal? That’s the idea too, so find it out yourself. It is a great pleasure to be with you on a journey to achieving your dreams, your career, and your goal. I would like to share with you a brief training session on “MINDSETTING YOUR CLEAR CAREER PATHWAY” using the NLP Well-Formed Outcome approach, which I find it glamorous in calling it the PURE-SMART approach. As you may realize that the way a person learns new things, the way in which his/her memories get recorded, the way he/she behaves, and the way he/she communicates depends so much on his/her mental-emotional state at the moment of engagement. So, I thought it would be best to start off by guiding you to access a resourceful state, so that you will find yourself in a mental-emotional state that will enhance and empower you in the process of learning. And although this session is developed for students, school-leavers, entrepreneurs, undergraduate students, and fresh-graduates, adults may find this useful too. Ok, let’s get started by learning the NLP state management. I’m sure you are able to recall the time when you felt that way, can you not? Now, I would like to invite everyone who reads this to just stand up and take a deep breath then exhale and do it a couple more times. Once you feel relax, I invite you to just go inside…look up to your left while you are thinking… and I invite you to just go through times of your life that you find most joyous, fun, exciting and jubilating. You know, there won’t be many for some but more for others and all we need for today’s exercise is to pick just one experience of joy. You can pick one, can you not? If you’ve got that moment in your mind, just close your eyes and see with your mind’s eyes, how it looks like….with your mind ears, how it sounds like….. and with your mind’s body, how it feels like when you are back there in time? Just allow yourself to look around you. Where were you? What were you doing then? Who were you with and who were with you? Whose voices did you hear? Did you engage in an internal dialogue with yourself? What did you say? What were you feeling in your body? What expressions do you have on your face? What posture were you having? How do you feel about that moment in time? And on a scale of 0 to 10 where 10 is the highest and strongest feelings you have at that time, while 0 is just not having any feelings at all about it, how would you rate your feelings about this moment in your life, now? A 5, or 6,or 7,or 8,or 9,or 10? High or low? High? Well, as you bear these feelings of joy, just leave it in the way you want it to be and perhaps even much more, just enjoy that pleasure for a moment. And now, I invite you to clinch your fist and amplify your feelings of that joyous moment in your life, and when you are at your peak, and indeed you can amplify your feelings, can you not? And as you continue to increase the intensity of your feelings and realizing that you have reached your peak, I invite you to say a strong YES to those feelings. Let that sound of a strong YES run through your neurology; run through your whole body. Ready? And anytime when you are ready, do it at your own pace of time. Ready, 1,2 go! [Shout YES!] You got that? How is that? In NLP, that is called Accessing and Anchoring Your Resource State. The process of anchoring using the Meta-‘Yes’ is a Neuro-Semantics process. And when you look to your future, and at anytime you would like to be in a state of resourcefulness, you can engage a neurological network of accessing the state of your choice in much similar way. And this is one simple example. “When you visualise, you materialise. I think when you’ve been there in the mind; you will get there in the body!" "I visualise to the point that I know exactly what I want to do: dive, glide, stroke, flip, reach the wall, hit the split time to the hundredth, then swim back again for as many times as I need to finish the race." It is absolutely true. NLP that stands for Neuro-Linguistic Psychology (Programming) is a technology of the mind-body that simply does that. It is interesting to note that the way in which we access past events can be used to our present and future advantage. WHAT ARE WE GOING TO DO IN THIS TRAINING SESSION? And today we are going to learn more about how to develop a well-formed outcome and getting your goals, your dreams met. What is the difference between a goal and an outcome? Dr Michael Hall stated that a goal is something you wish to achieve, like “My goal is to get 9 ‘A’-s at the GCE ‘O’ Level examination”. While getting into the specifics of how your goal will materialize, we set an outcome. Setting an outcome that meets the conditions of well-formedness will be covered in today’s session. What is NLP anyway? 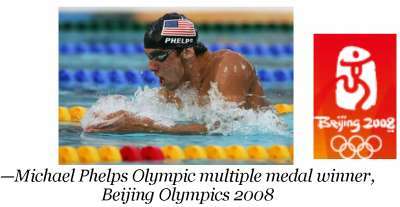 Besides what it stands for, it is a study of human excellence and it is also a technology of modeling successful people. 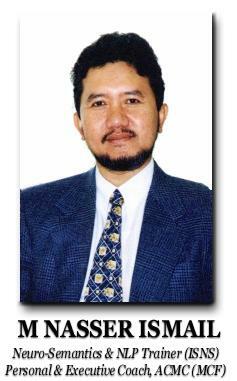 It is derived partly from the field of Cognitive-Behavioral Psychology. It is sometimes termed as a technology that teaches you how to run your own brain. It uses the fundamental/primary representational systems that govern our mind and body, made up of the Visual, Auditory, Kinesthetic, Olfactory and Gustatory components. 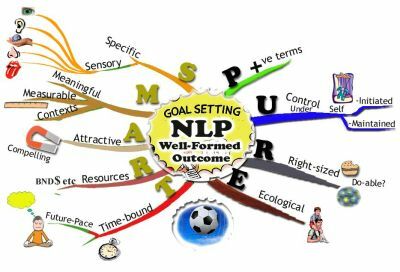 NLP well-formed outcome model is the foremost application that is used in NLP. It starts by asking you a simple direct question, “What do you want?” It is a model of realizing where you are now, i.e. your Present State, and then developing an internal strategy of directing you towards your Desired State. This is really what we are going to do. We are going to motivate ourselves internally and than externally. We are going to do a lot of mental exercises together. We will follow the 9 step-approach to a clear career pathway, to a well-formed dream. We do not only set goals, but we set outcomes. Here, you’ve got an opportunity to learn a technology that creates your ability and maintain an outcome that will determine the difference between wanting something in theory as your career, a wish list, and becoming able to go and get it in practice. In his book, Bob Bodenhemer wrote that in a US survey, about 5% of the total population sets goals, the rest of the 95% don’t. Do you know who does these 95% work for? The 5%! Here is another way of looking at how you can develop a well-formed outcome for yourself and avoid ending up in a situation of total desperation, a ‘fall’. Is this the kind of life you would want to go for? Certainly not! So, going through the 9 step-approach is something that put focus on what we aim for and how to get it, how to make it happen. The problem we all have sometimes is having lots of things to aim but they just remain only in theory. We have problems of getting it out of our brain and into our behaviors and actions. Then we end up losing our foresight and not achieving much of what we aimed at/for. And it dissolves into pure wishes rather than an achievement of your dreams. So you continue to extend your wish list. Where does it get you to? Have you had enough of this? Yes? Amazingly, as Bob Bodenhemer wrote in his book, some 95% of us live a life without even setting goals, and perhaps just do not know how to even set goals, what more to set the right goal. Can you imagine what will you end up to be and where? How are we going to approach all these setbacks? We are going to go through the 9 steps to a clear pathway in our mind what I call the Pure-Smart Approach. Grab the chance to experience every step of it and make sure you record clearly on paper what we go through together in the session. What do I then expect from you in this TRAINING session? · Stay cool and relax, and treat this session as a joyful learning experience. · This is not about examinations; it’s just your decision to enjoy your time in it. · It is also not about your past, it is what you will become in future. · So stay willing to try on anything, any exercise. · Be extremely quiet as you have fun attending to your thought experiments. How does that settle for you? Is that agreeable? I will relax and learn joyfully. This is not an examination of wits & smartness; it’s something I decide to enjoy. This is not about my past, it’s about how best I can become. I’m willing to try any exercise and instructions given to me. I’ll be quiet to focus on my thoughts as I experiment the process. How is that for the fun? What do you want out of a job of your choice? You are required to write freely what comes to your mind. This is a good exercise to understand your motivation direction/s; a towards-motivation or an away-from-motivation. This exercise also shows what the drivers to achieving your goals are….material, social, personal, mental, psychological, economics, political, challenge, pride etc. It also determines your beliefs, values and how important it is to you that you want so much of this job. What’s important to you about this job? What do you value most about it? Is this important to you? If it is why is this so important to you? If you achieve this, what does it give you that you value most? This exercise is also a good gauge as to whether you specify what you really want or/and what you do not want? There are many who have both directions in their motivation strategy; either a towards-motivation followed by an away-from-motivation, or vice-versa. The intensities of both motivation styles may also differ. One may be driven stronger by the towards-motivation style and weaker by the away-from motivation style. One may have equal strengths in both approaches. The others may be driven stronger by the away-from motivation then the towards-motivation. These styles vary from one person to another. And you can certainly spot that in your statements when you begin to answer the simple direct question, “What do you want out of a job of your choice?” Try that. Saying of the Prophet. Al-hadith. · Time-bound and Try it on. 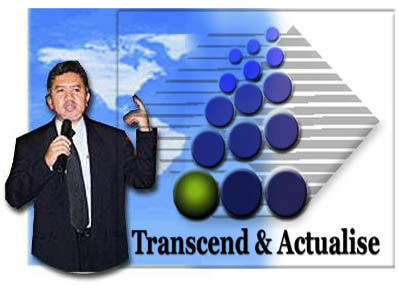 You know now that the PURE-SMART is an NLP well-formed outcome strategy of achieving your goals. So, what do you think? Until then, happy reading and trying.